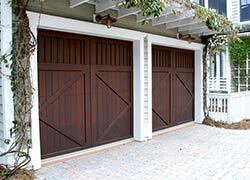 Exclusive Garage Door Service expertly installs garage doors at homes and businesses through the community. Whether you need to replace an existing door or if you’re working on new construction, trust us with the installation of your garage doors. Our talented team of professional technicians will install any garage door you may have in mind, anywhere in the Indianapolis, IN. We also stock a variety of doors for you to choose from, which can speed up the installation process. Our doors are made from high quality materials and are designed to last. We’re committed to helping you find the perfect door for your unique situation, and we’ll be with you before, during and after installation. First, Exclusive Garage Door Service representatives will meet with you to discuss your security and entry needs, the features you desire, the design you have in mind, and your budget. We will help determine the proper size and other specifications, then provide you with an estimate to help you make your final choice. 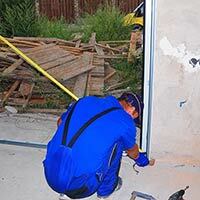 After that, our professional garage door experts carefully put your garage door into place. At Exclusive Garage Door Service, we guarantee a perfect fit each and every time. And we will do whatever it takes to ensure the process is smooth and exceeds your expectations.